Download Skyscraper in Digital HD from the iTunes store. Skyscraper images are © Universal Pictures. All Rights Reserved. Dwayne Johnson (The Fate of The Furious) has certainly come a long way in his career. Not only has he proven himself to be good at comedy but also has also stuck with his biggest strength - action films. His larger than life persona makes him the perfect guy for these types of roles, and Skyscraper is no exception. The film features Johnson as former FBI Hostage Rescue Team leader and U.S. war veteran Will Sawyer, who takes a job in Hong Kong assessing security for a high tech skyscraper, the largest in the world created by billionaire developer, Zhao Long Ji (Chin Han; Ghost In The Shell). For this job, Sawyer brings his wife (Neve Campbell; Scream) and children with him to live in an apartment in the building while he sees to his duties. He was recommended for this job by a friend of his, fellow ex-FBI agent Ben Gillespie (Pablo Schreiber; First Man) who he later finds out is in cahoots with an international terrorist Kores Botha (Roland Møller; Atomic Blonde ) to steal a tablet containing all the security information/access for the skyscraper. After a fire is started by Botha's team, Sawyer must now figure out how to get his wife Sarah and their children Georgia (McKenna Roberts; Timeless) and Henry (Noah Cottrell) out alive. Johnson gives his usual good performance, working with the material he is given in this film. He has a likable personality and charm that makes him a rather good leading man. Neve Campbell is always a favorite, providing another believable and capable performance. While there aren't any other stand out performances, everything/everyone meshes well to round this film out nicely. Sure, there were a few scenes where you had to suspend disbelief, but that's the case in most action films and, in my opinion, adds to the fun of this genre. It is nice to see Campbell back in a semi-action role as this is probably the most stunt work she has done since the Scream series and she pulls it off like a pro. 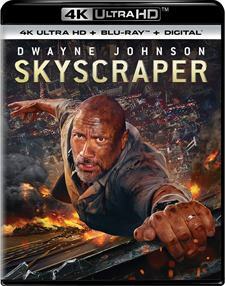 Presented in its original 2.39.1 aspect ratio Skyscraper's 2160p lines of resolution encoded at HEVC and of course, HDR the picture is crystal clear. In the home theater format, there is no better option to get a pristine picture of Skyscraper. Colors leap off the screen and the details of the building are on full display in this 4K version. Complementing the video is a drop dead amazing candy fest for the ears supported by Dolby Atmos. The height and surround speakers make amazing use of their spatial properties to make it feel like a building is collapsing all around you while the dialog is crisp and easily heard throughout the chaos. Dwayne Johnson: Embodying A Hero: This feature takes a look at how important this character was to Johnson and his methods of playing an amputee up to his standards. Inspiration: A look at how the film learned from amputees in order to make sure Johnson's performance was accurate. Opposing Forces: This feature takes a look at the fight scenes of Neve Campbell and Hannah Quinlivan. Friends No More: A look at the fight scenes between Dwayne Johnson and Pablo Schreiber. Kids In Action: A look at the kids who rounded out the cast of the film. Pineapple Pitch: Johnson discusses how Thurber pitched the film to him. While Skyscraper is not one of the best action films out there, it doesn't pretend to be either. 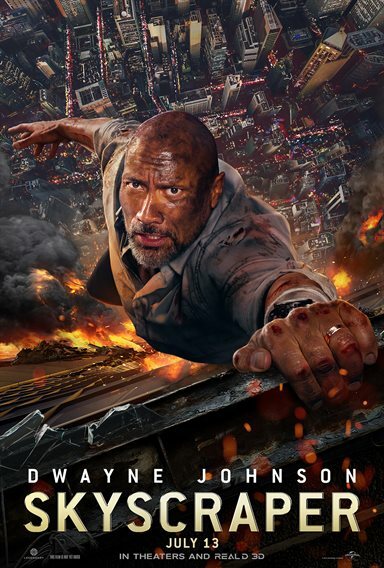 If you can put your mind in park for two hours you might be pleasantly surprised on Dwayne Johnson take of The Towering Inferno meets Die Hard. 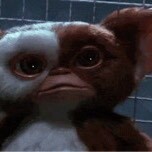 This movie also demonstrates, that also not matter what in life, Duct Tape is your friend.